Samata no Yu is a hot spring onsen facility by Tsuru River. 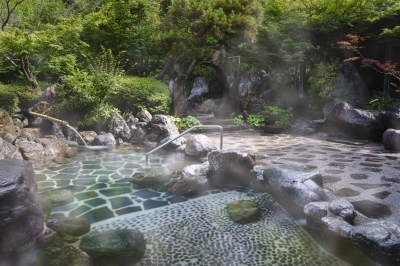 You can enjoy outdoor hot spring in the nature, as well as Japanese cypress baths, rock baths and family baths. It is a very popular spot all year round. 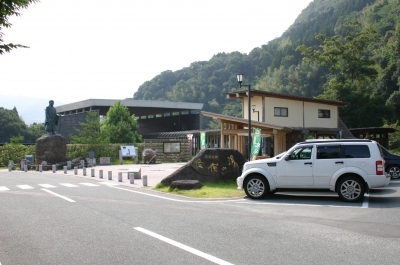 In October 2013, this facility was desingated as an official "Michi no Eki" rest area. In the facility, there are rest area, a restaurant, a direct market and also accommodation facilities called Samatan Lodge. Samata no Yu also holds various workshops. 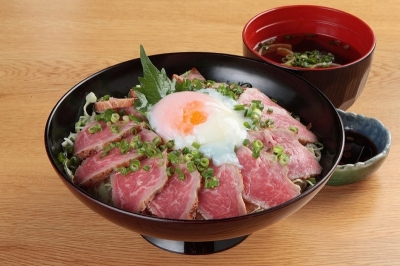 At the restaurant, you can enjoy the local specialties such as "Akaushi Beef steak rice bowl," and "Dagojiru Gozen set." At the Samata no Yu Onsen Festival in october, many people visit to enjoy local produce and fun live performances.